So instead, I’m offering some personal picks from what’s on display by way of suggestions as possible stop-off points in your explorations. Around a year ago, Botgirl Questi and Whiskey Monday started a collaboration, “Single Frame Stories”. As a weekly challenge, participants are given a word or prompt and asked to submit a single image with an optional text element of up to 140 characters, which acts as a narrative to the themed word / phrase. The image can be a photo, screen shot, drawing or painting and the text either integrated into the image or form a caption or title. 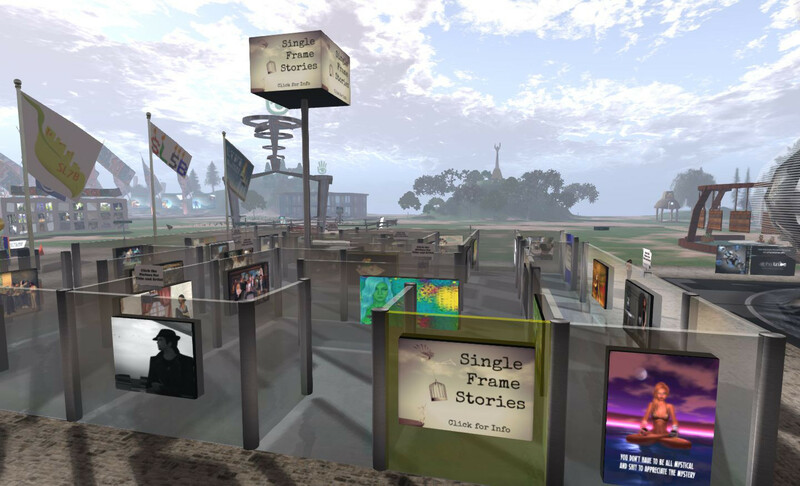 For SL10B, participants were asked to submit single frame stories on creativity, community and identity in Second Life. 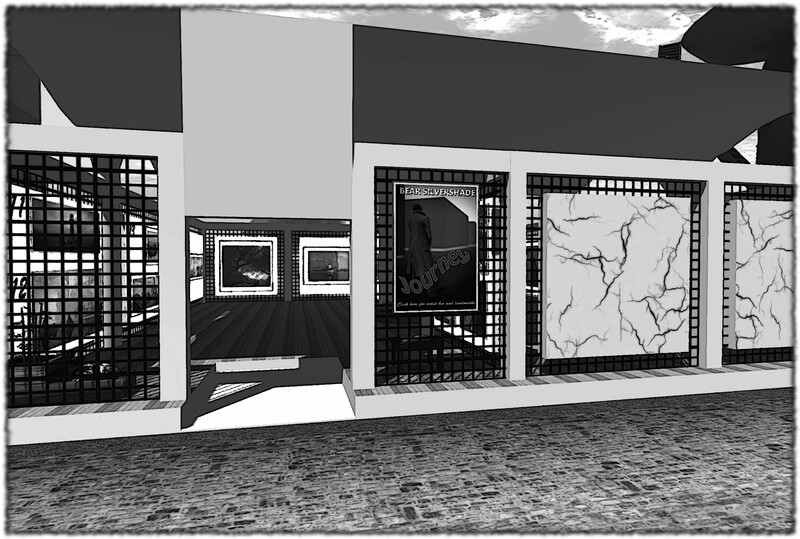 This exhibit showcases those entries, and does so simply and stylishly in a way with amplifies the maxim, “less is more” and which presents a thought-provoking and a powerful demonstration of the creative talent flowing through Second Life. 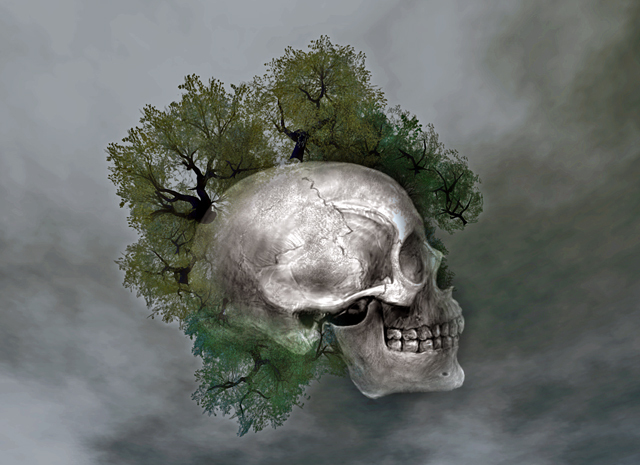 Staying with art and photography, my next choice for today is Journey, an exhibition of Bear Silvershade’s SL photography covering his work from his first arrival in SL through to the present day. A photojournalist in RL, Bear has developed a very distinctive and eye-catching style over the years, which at present is represented primarily through his monochrome series, Journey of the Lonely Man which presents places and scenes in Second Life in black-and-white and in a manner which strongly emphasises the “film noir” aesthetic. I admit to being an unabashed fan of Bear’s work, although I envy him coming up with the black-and-white approach to documenting SL in an ongoing series, having just dabbled a finger into such waters (and while not in any way comparing myself to his level of artistry) I find it presents a fascinating way to showcase SL in a very understated way. His gallery at SL10BCC is also beautifully understated, offering a clean, minimalistic approach which focuses the eye and the mind on the work it presents. If SL photography is your thing, and you’ve not seen Bear’s work before, this one is highly recommended. 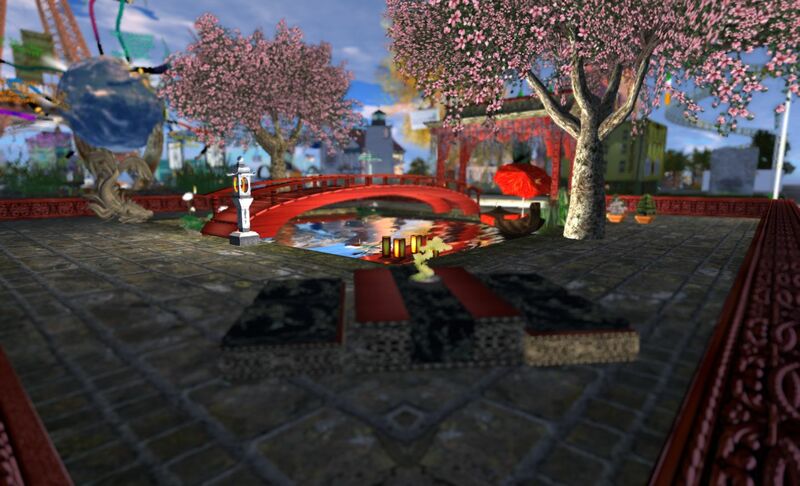 And whether you already enjoy Bear’s work or are new to is, be sure to pop over to Mesmerize and see the work of his partner, Derry McMahon, who has recently entered the world of SL photography, and is already making a name for herself – deservedly so. My early childhood was often spent on weekend visits to my grandparent’s house. In their younger days, travelling and holidays were something of a unique experience for many, and over the years they’d amassed a collection of the strangest memorabilia (which they delighted in still purchasing while holidaying in their later years). They had teaspoons with rounded tops to the handles bearing enamelled images inset into them; “hand painted” plates showing beach front or other scenes and emblazoned with the names of the towns where they’d been purchased; tea towels printed with famous places or historical scenes and so on. DrFran has recaptured much of the feel for those days in her Classic Souvenirs exhibit, which forms a wonderful and very personal trip down memory lane for any who have seen such trinkets in their parents’ or grandparents’ homes which at the same time offering a lighthearted and very unique way at looking back over SL’s – and LL’s – past. Visitng her stall – I call it that, as it feels much more in keeping with her approach than using the more formal title of “exhibit” – you can see teaspoons bearing the images and names of past and present Lindens and famous landmarks past and present; there are painted plates, again featuring notably sims in-world; there are postcards, tea-trays and other knickknacks, all tracing out SL’s past in some way or another. 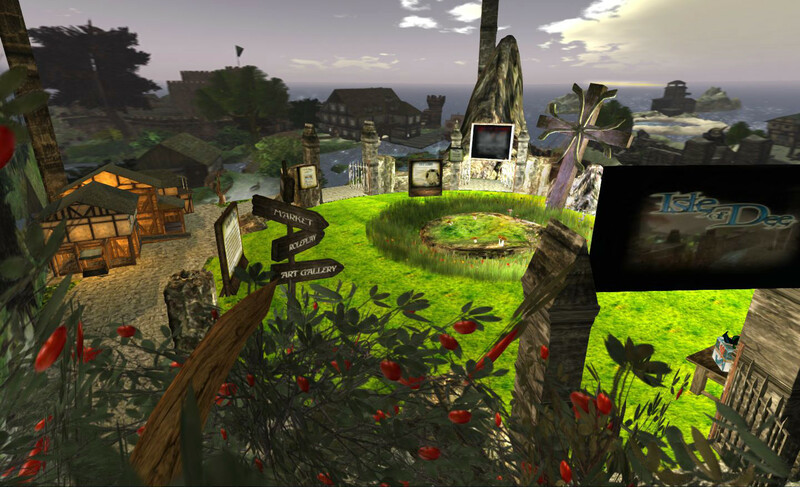 Yes, it’s a bit kitsch – but it is fun kitsch, and having fun and raising a smile is all part of SL10BCC. What’s more, everything DrFran has on display is available for you to keep! So, if you’ve ever wanted to dip Oz or Philip Linden into something freshly boiled, or fancied having a Tiny Robot (Nyx Linden) all to yourself (who wouldn’t? ), or ever wondered what freshly fermented prim juice tastes like, just right-click and TAKE COPY on anything which catches your eye! It’s no secret that the good Lord of Dee, Ciaran Laval, and I have something of a history (no nothing like that! Just put those thoughts and raised eyebrows back where you found them! 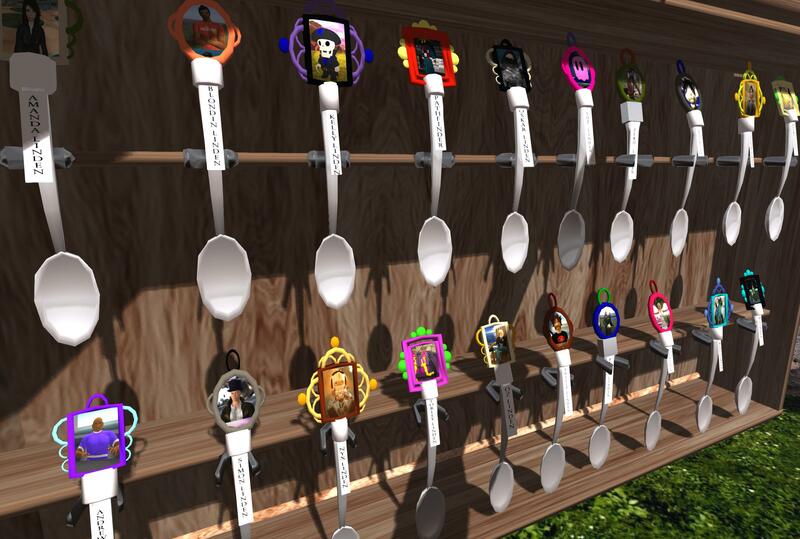 ), and while he may not know it (until now), his blog was one of those which encouraged me into the wider sphere of SL blogging from my original beginnings. However, our friendship is not the underlying reason why I include the Isle of Dee exhibit in my list of places to see. 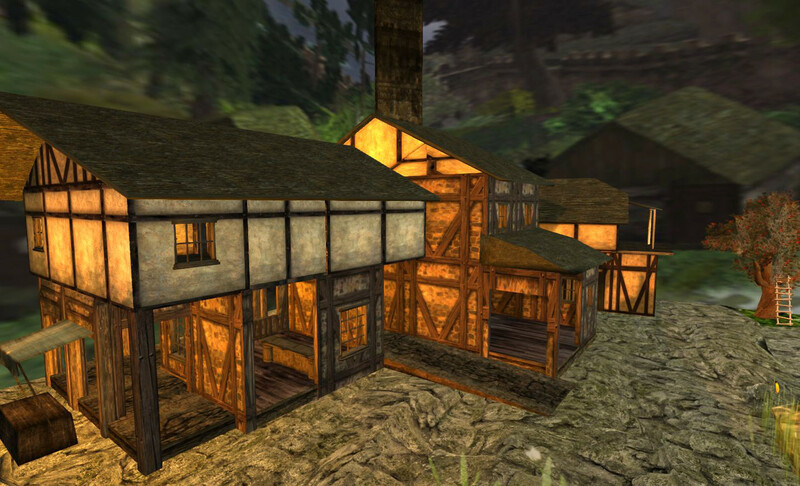 I include it because it is very, very, good and – while this may sound a tad harsh – demonstrates a wealth of creativity and imagination sadly lacking in some exhibits with similar themes elsewhere in SL10BCC. While others opt for little more than a combination billboard-style exhibit / notecard giver, Alrunia’s set actually immerses you in the magic and lore of Dee through a very clever build in which everything from the presentation of information through to the parcel surrounds has been very carefully considered and put together. As such, the exhibit provides a huge amount of information about the Isle of Dee without simply throwing it at you and leaving you to sort it all out. Neatly split into a series of themed areas, the exhibit makes full and contructive use of models, givers and multimedia (including prim-based slide shows, media-on-a-prim YouTube videos, and an in-world history of the Isle of Dee presented in book form), which encourages you to step inside, explore and enjoy. Whether or not you’re into role-play / SL communities (and the Isle of Dee straddles both), this really is a worthwhile visit. Thank you, Inara! I need to go see Bear’s exhibit. How did I miss it? Missed you live at the auditorium, but have the video bookmarked :). Your blog is more fabulous. So much really useful information. No crap 🙂 Checking daily. No need to blush. Credit falls where credit is due. I’ll just follow in your footsteps … a good way behind, talent-wise! And I am squealing with delight! Thank you Inara! 🙂 Lovely exhibit. And Belated congrats on the PotPourri Markets Art Fair win in March! Why did I not find this blog post way earlier! I truly had a blast putting the exhibit together. You’re welcome. the exhibit really was superb :).